If you have requested a quote, you can confirm your booking by paying the amount received by e-mail via the secure gateway Stripe. Terms and conditions: Cancellation advise that arrive within 6 days before arrival will not generate any penalty fee. Cancellation advise that arrives from 6 days to 3 days before arrival : the penalty fee will be equal to the 50% of total amount. Cancellation advise that arrives from 2 days to 1 day (or less) before the date of the service: the penalty fee will be equal to the total amount of the service. In case of no-show Di & M Drive will charge the total amount of your reservation on your credit card. Please note, you can cancel your reservation by email or by phone. If you want to request a quote, click on “Contact us”. Clicking “Pay Now” you will be directed on a secure Stripe page, a safest online payment with credit-card that will guard your data by making a guarantor to the transaction. 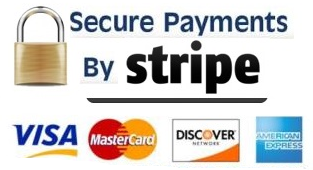 Clicking “Pay Now” you will be directed on Stripe website, a safest online payment with credit-card that will guard your data by making a guarantor to the transaction. What happens if I make a wrong payment? We don't charge immediately the amount on your credit card. Anyway you can contact us and we will refound the total amount. To use Stripe do not need to register a new account, you can simply complete all sections of the form and make the payment.